While every Jaguar showcases advanced features, exciting performance, and exquisite design, Jaguar Special Vehicle Operations (SVO) take things to a whole new level. Jaguar SVO models include halo models, limited collector’s editions, and other cutting-edge high-specification vehicles that all showcase all the best of what Jaguar has to offer. Each one of these impressive models is designed in the Jaguar Technical Center in Warwickshire, England and features the advancements in performance and design that Jaguar specialists are making. Currently, 200 Jaguar automotive specialists are working together to create bold new options like the XE SV Project 8, F-PACE SVR, and F-TYPE SVR. The F-TYPE SVR uses state-of-the-art design paired with an monstrous engine to create a vehicle that will make everyone will take notice. 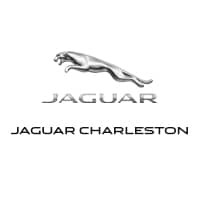 Whether you want to learn more about Jaguar Special Vehicle Operations (SVO) or explore how Jaguar pushes the limits with their concept cars, we are happy to talk shop at Jaguar Charleston. feel free to contact us at Jaguar Charleston, or stop by to test drive a model from Jaguar F-TYPE inventory today!